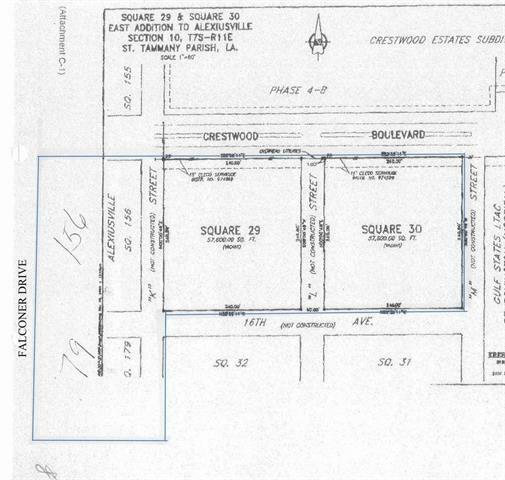 3 contiguous squares of property fronting Falconer Dr./Crestwood Dr. - offered together at $7/PSF Entire property is 3.96 acres. 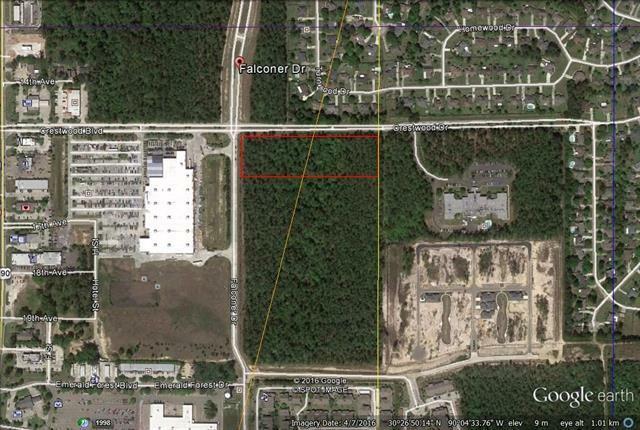 Zoned NC-4, this property is directly behind Lowe's and in vicinity of other big box retailers in Covington. Central water/sewerage in area. Flood Zone X. Nearby area includes big box retailers, multi-family, and office/commercial properties. Squares 29/30 (MLS # 2091558) and Sq. 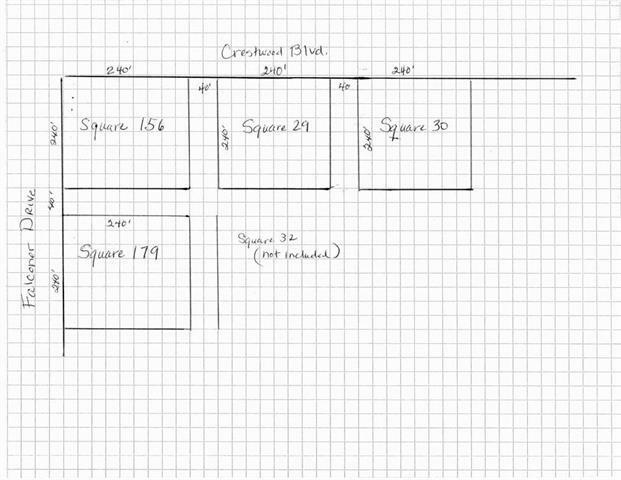 156 (MLS #2091552) can be sold separately. OWNERS WILL CONSIDER A GROUND LEASE ON PROPERTY.